At Ben Harris Gardens, we can design the perfect water feature to complement any naturalistic garden style. A Japanese garden can include a natural pond with gold fish, or a simple shishi-odoshi (deer scarer). A native garden can be brought to life with a gently flowing creek or billabong, and cascading waterfalls can add a dramatic touch to a lush tropical garden. 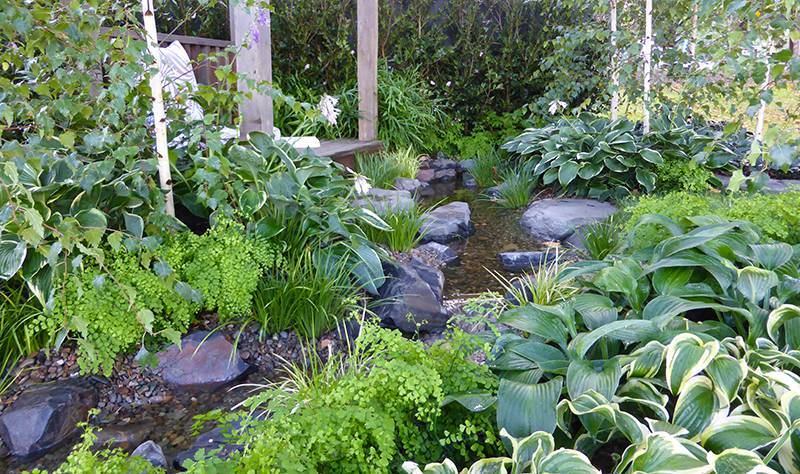 Meandering streams work well in woodland and mediterrean styles of garden. All these garden styles incorporate curves, lots of plant life, and natural materials such as stone, rocks, pebbles and timber. We believe in creating gardens that stimulate all the senses. Gardens that have soul, and nurture a connection to nature. Gardens should reflect the surrounding environment and the style of your house, providing a strong connection between the interior and the outdoors. Above all, landscapes must be practical, and our appreciation of this keeps our designs grounded. Thoughtful plant selection gives us the confidence that our designs will look great for the life of the garden.